2. Another dressy outfit that features light red flat pumps embellished with stones. Add caged white sleeveless crop top and black-white striped shorts. 3. 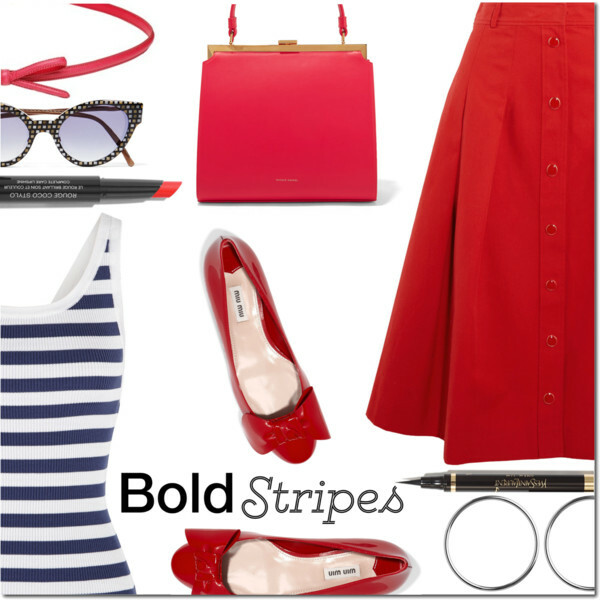 Pointed-toe flat pumps in red color ideally suit black shirt and matching color trousers. 4. A retro inspired look featuring plaid print skirt suit and a double-breasted cream-white jacket is complemented with muted red pumps. 5. Another cute looking pair of flat red pumps is worn with abstract floral print sleeveless coatdress. 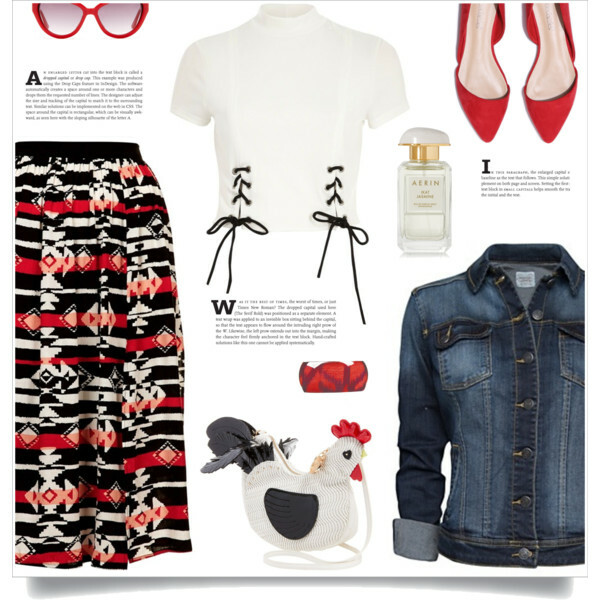 Add mirrored rounded sunglasses and retro inspired shoulder clutch bag. 6. If you want to wear something casual and relaxed, you should give a try to pointed-toe red flat pumps, white T-shirt, Aztec print midi skirt and denim jacket. 7. A great outfit for beach days! We see orange-white striped pullover with white swimsuit and pastel turquoise lace shorts. Add glossy red shoulder bag and light red flat pumps. 8. 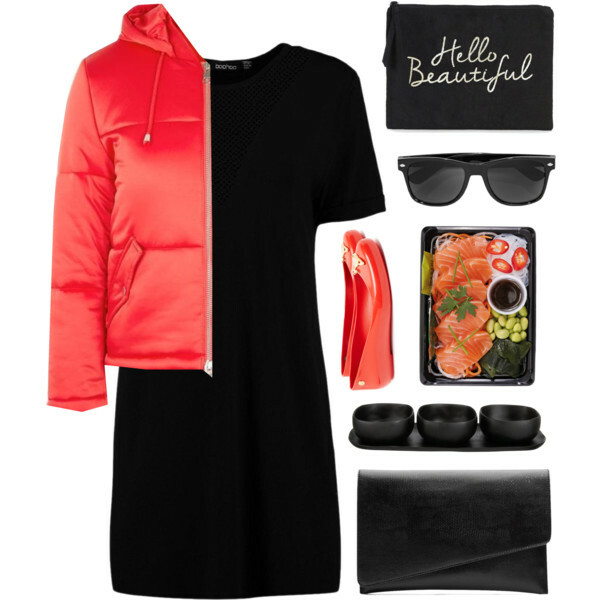 A cute LBD can be updated with red down jacket and pastel red flat pumps.